Tracy is one of the smartest people I know. Really. She has a degree in biochem and recently began practicing law. She can do math AND she is a wonderful writer. She is a dear, nerdy friend and I was thrilled when she asked to write a guest post. 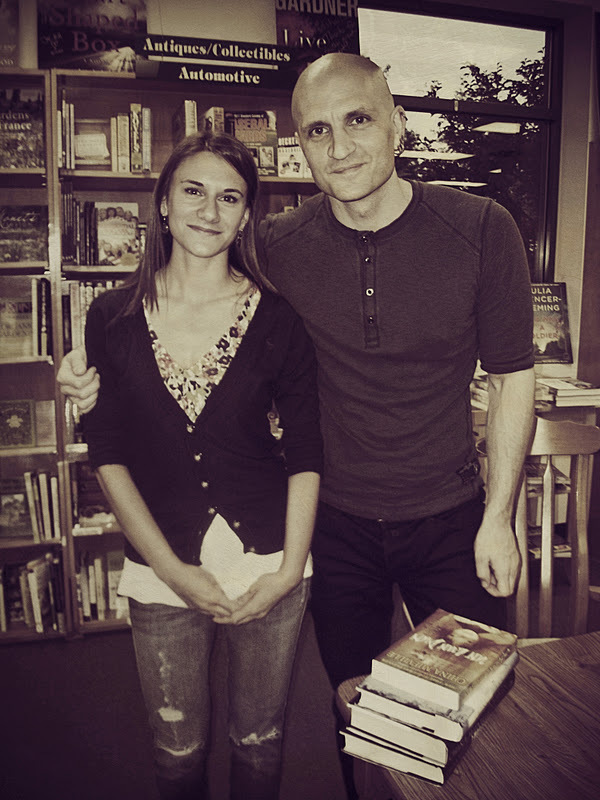 I recently had the opportunity to meet China Miéville at a book reading/signing for his new book, and I was so excited I put orange juice instead of milk in my coffee that morning. So I asked Meaghan if I could guest blog, to try to explain what it is about Mr. Miéville’s writing that could drive me to sabotage my own coffee (though, as a tea drinking Brit, I have not ruled out the possibility his books contain anti-coffee subliminal messages). China Mieville is an antidote to the familiar. A Miéville novel tells a story that has not been told before. It will not be another new twist on an old plot, not entertaining in the way it is entertaining to come across a musician on an often traveled street. The first few steps may seem familiar—a detective with a murder to solve, a scientist with a missing specimen, the arrival of a spaceship—and then: nothing. A clean slate. A world so other the only points of reference are the words on the page. 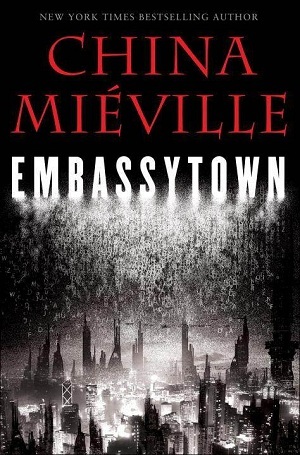 Embassytown, Miéville’s most recent release, contains the memoirs of Avice, a human colonist born on a distant planet, who as a child becomes a figure of speech, a simile, in the native Ariekei’s unique language. A self proclaimed floaker, she nevertheless tries to save the Ariekei, and the humans, after an outsider’s use of the Ariekei language upsets the biological balance of the planet. The City and the City is a murder mystery spanning two cities which share a border unlike any other, where every stray step or wayward glance is prosecuted by an all-seeing power with unquestioned and indeterminate authority. Often Miéville’s words themselves are other, an obvious necessity to describe new concepts and ideas. Grosstopically describes geographic proximity across invisible yet impassable boarders. Space without time is named the immer (a German word for “always” which dovetails with English in ways that make any language lover swoon). Floaking well… you get the idea. Acute attention is required to understand the story, and it is like using an old muscle, but it is also like undoing what has been done, traveling back to a time in childhood when the intoxicating newness of every story stretched the membrane of reality ever thinner and made the world proportionally bigger with every word. I will let you decide how Miéville’s words are like a drug and how they are not like a drug, but any of these three books will give you something which is exhilarating and mind altering and addicting in all the best ways. 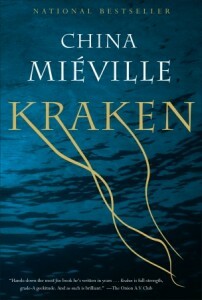 In my copy of Kraken, Mr. Miéville inscribed “Honored to have ruined your coffee.” Whether his words drove me to general distraction, or he employed a more directed manipulation of language, I am grateful to Mr. Miéville for showing me that at thirty years old I can still experience the pure enchantment of discovery, even at the expense of my everyday routine.